Matilda lives in Dull-on-Sea and she really would like to have a friend her age. 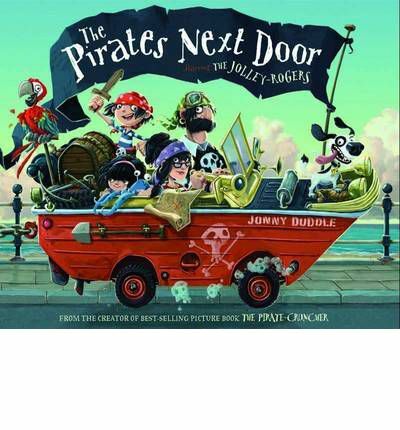 Then the pirate family, the Jolley-Rogers move in next door. Matlida thinks they are fascinating and befriends Jim Lad. The rest of the town aren’t so welcoming of the pirates and their strange ways. The townsfolk complain and grumble until the time has come for the pirates to move on. What have the pirates done that leaves the whole town singing a different tune? Matilda though misses her friend and is glad they can at least write letters to each other. A totally fun tale about pirates and a very boring little down. The rhyming text tells it’s story at a brisk pace. The tone is fun and the illustrations capture the tone wonderfully. There is plenty of text to keep the 4-5 year old interested.